Two months ago in Casselton, North Dakota, a train carrying crude oil from the Bakken oil fields hit a derailed soybean train on the outskirts of town. A huge firewall exploded hundreds of feet in the air. Because the fire was so hot, the only thing that the Casselton Fire Department could do was watch it burn. Last July, in Lac-Mégantic, a small town of 6000 in Quebec, an oil train which had its brakes incorrectly applied derailed at high speed in the middle of town and exploded into what survivors called “a tsunami of fire.” 47 people were incinerated by the explosion and 30 buildings, the majority of the downtown, were destroyed. The blast flattened nearly everything in a 1 km radius, and heat from the fire was felt nearly 2 km away. The blazing oil entered the city’s sewers and roared out in huge fiery flumes in basements and sewer systems of nearby buildings. Emergency response called the scene a “war zone.” The fire was finally extinguished after burning out of control for nearly two days. Oil trains carrying the exact same oil are currently running through downtown Seattle at least eight times a week. Currently, there are nine new proposals for oil-by-rail terminals in Washington that could increase the traffic of crude oil through Seattle to nearly three times a day. Given the recent string of oil train disasters over the past few months, this dramatic increase in the transport of crude oil through Washington communities is worrying to say the least. Using trains to ship this much oil is a new phenomenon. In 2008, the oil industry shipped less than 10,000 carloads of oil. Last year, they shipped over 400,000. Why the sudden increase? The huge expansion of oil by rail has been due to the amount of recoverable oil from the Bakken oil fields of Colorado, Wyoming, and North Dakota. By using hydraulic fracturing, otherwise known as fracking, the oil industry has been able to recover over 600,000 barrels of oil per day. The available pipelines are not able to handle this much oil. Enter oil trains. Even though it’s more expensive, the oil industry has had to resort to oil trains to ship their product. Today, as many of 200 trains ship oil from the Bakken oil fields to refineries. In fact, two thirds of those daily 600,000 barrels of oil travel by train. Some of those trains go through downtown Seattle, right next to our waterfront where thousands live, within a few feet of Safeco and CenturyLink fields, and directly under Pike Place Market. There are two huge problems with this. For one, the oil being shipped is dangerously unstable. This is not normal crude oil. 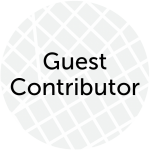 Bakken oil contains natural gas and other chemicals used in the fracking process. Putting gas into tank cars meant to ship liquids can increase the pressure of these cars to dangerous levels and lead to explosions. The other problem is the oil cars themselves. The Federal Railroad Administration found that Bakken oil caused “severe erosion” to these oil cars. Many of these oil cars running through downtown Seattle are DOT-111, the same ones used in Quebec and North Dakota. The National Transportation Safety Board (NTSB) found in 2012 that DOT-111 cars are inadequate and can lead to “catastrophic loss of hazardous materials” if they derail. The oil industry is pushing back against any retrofitting of the DOT-111 cars because it would cost them nearly $1 billion. Mayor Ed Murray and City Councilman Mike O’Brien have introduced a resolution which calls for the increased scrutiny and new regulations for oil trains passing through Seattle. It calls for local, state, and federal agencies to work together to assess the risk these kinds of trains pose and calls on the city to review its emergency response plans in case of an oil explosion. 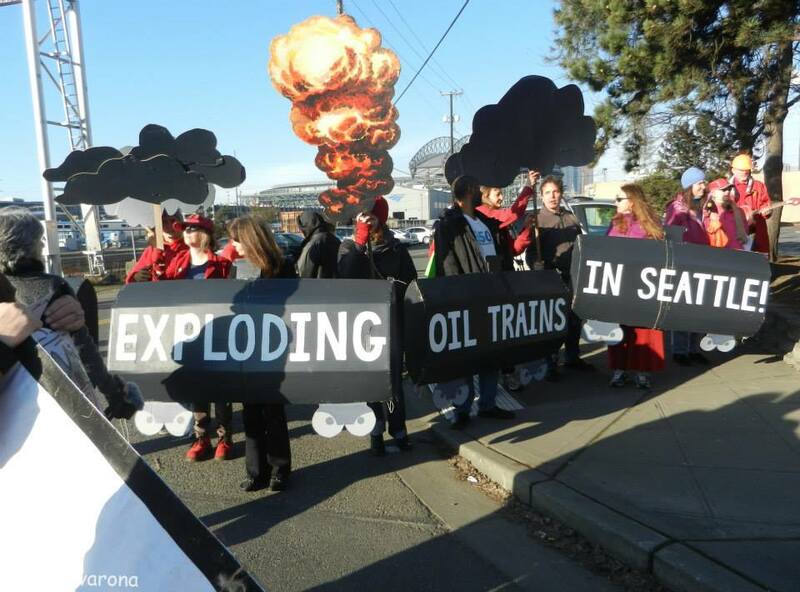 While this is a good start, 350 Seattle, a local environmental group opposed to these oil trains, has urged the council to include language about how these oil trains contribute to global warming and also to include a moratorium on any increased shipments of oil by rail. Last Tuesday Mayor Murray called climate change “the most significant issue we have ever faced as a species.” The large volumes of crude oil travelling through Seattle to refineries and terminals, along with other fossil fuels like coal, significantly contribute to catastrophic climate change. Seattle will feel these impacts in rising sea levels, ocean acidification and an increase in catastrophic weather events.